The four-leaf sorrel it is well-known as a nice little present and a pretty table decoration for the New Year’s Eve party. If you reduce this function of the delicate Oxalis tetraphylla, you underestimate its potential to a lushly blooming potted plant for the window sill and the summer balcony. Here you will find a detailed guide for cultivation and care. 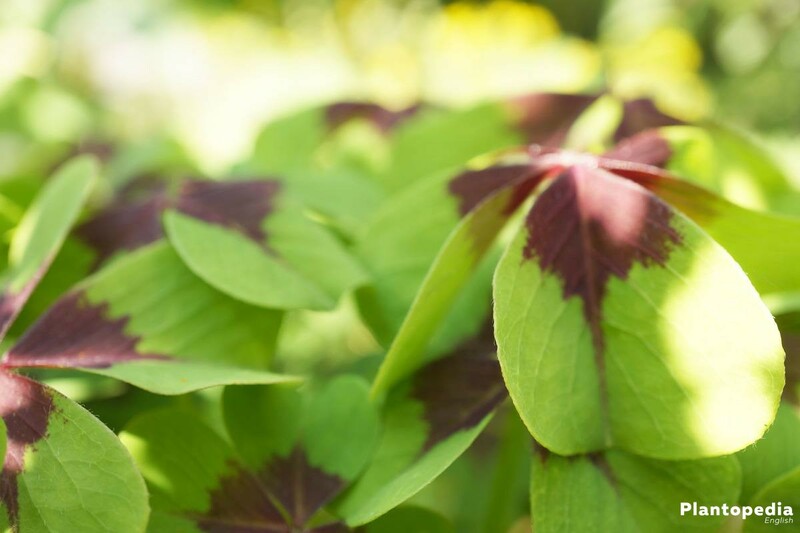 A four-leaf sorrel grows vigorous and healthy for many years. Height from 15 to 40 cm. If a lucky clover, Oxalis tetraphylla in New Year’s Eve fulfills its purpose as a little present or table decoration, the pretty plant should not be rashly used as compost. With the decorative, four-split leaves and pretty flowers, an oxalis tetraphylla acts as a distinctive summer blossom on the window sill and decorates the balcony. The subtropical bulbous plant is unpretentious and, according to the old tradition, as a magical four-leaf clover, repels the evil spirits. This clear and practical guide explains, how easy cultivation and care of a four-leaf clover is. Lucky clover, Oxalis tetraphylla is not related to the dreaded clover in the lawn. As a member of the genus Oxalis, however, there is a close relationship with the unloved creeping woodsorrel (Oxalis Corniculatis), whose appearance in the garden does not trigger feelings of happiness. In order for lucky clover to wear its beautiful leaves on time for the New Year’s Eve, set the course for cultivation in autumn by starting the following work between the end of September and the middle of October. Choose a lucky clover in spring, so that it can be used as a pot plant on the summer balcony or planted in a raised bed. Pick the bulbs just before the selected breeding date. The fresher the seeds, the lower the failure. In addition, with this preparatory work you increase the chances of success. To motivate a Oxalis tetraphylla, lucky clover tuber to a vigorous shoot, the cultivation soil should be poor. Instead of a nutrient-rich potting soil, please use a special potting compost from the specialty store. If you want to mix it by yourself, reduce cactus and herbal soil with a bit of sand. It is proven that coconut fiber substrate is excellent for the cultivation of Oxalis tetraphylla, which is both nutrient-poor and airy enough to provide small bulbs with the best start conditions. In order that the delicate bulbs and tender plantlets do not become immediately victims of diseases and pests, we recommend sterilizing the soil in advance. To do this, fill the soil in a fireproof bowl, sprinkle a little bit with water and place a cover on it softly. When placed in the oven, all spores, insects or bacteria present in the soil are destroyed in the course of 20 to 30 minutes at 150 degrees in upper and lower heat. Alternatively, use the microwave as a sterilizer. Here, the process goes at 700 watts within 5 to 8 minutes. 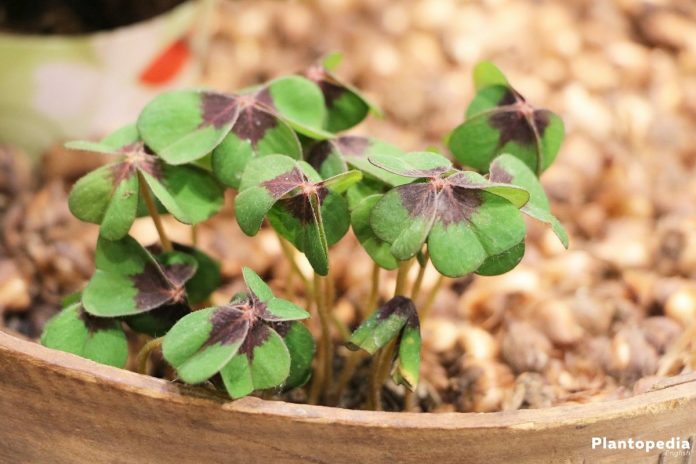 In order to cultivate a larger number of Oxalis tetraphylla, lucky clovers, correspondingly, large bowls are available on the market. If, on the other hand, you use small peat pots, you can save in the future a young lucky clover from thinning out. The young plants, together with this nursery pot, can be used in the final plant pot, since the material dissolves gradually. Regardless of the shape of the container, it should be ensured that there is an opening in the ground for the removal of excess water. Place the cultivation vessels on a half-shaded, warm window, which does not get direct sunlight. Keep the soil slightly moist and ventilate the cover daily to prevent mold. As soon as the first leaves sprout the cover can be removed. You will have done a good gardening job, if within the following weeks vigorous young plants with numerous leaves are developed. If there is a confided space in the seed tray, it is time to give to every lucky clover its own pot. For specimens in single pots, the time of repotting is when the root ball covers completely the pots. Now the substrate should be more nutrient-rich so that you can use any commercial potting soil. Take out the young Oxalis tetraphylla plants from the seed tray with a large shovel, so that the sensitive root ball is not damaged. On the other hand, the repotting of young plants in peat pots is easy, by simply putting them completely into the potting soil. It is important to keep in mind that the previous planting depth is maintained. With the following plant care program, you will give the lucky clover a thick leaf dress and a colorful, long lasting flowering period. Although the plant is not winter-hardy in the Central European climate, it still has the potential for perennial cultivation. All relevant aspects are examined in more detail below. In a sunny place, a lucky clover feels like home when temperatures hover between 18 and 20 degrees Celsius. In winter time, please choose a place away from an active radiator as the dry heat does not please your green mascot. In the middle of May, when the ice saints have said goodbye, the plant prefers a bright, half-shaded place on the balcony, wind and rain protected. 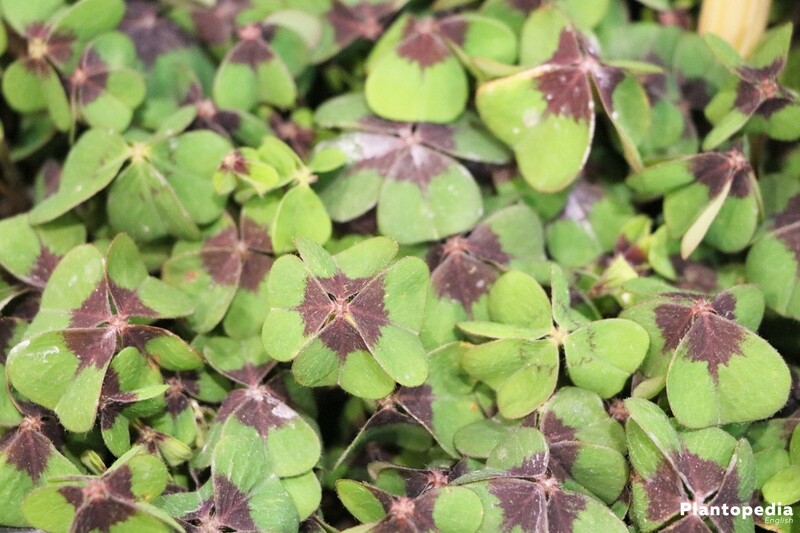 The floral Oxalis tetraphylla, lucky clover loves uniform soil moisture, without the risk of waterlogging. Water a four-leaf clover only when the soil surface is noticeably dry. It is an advantage for the vitally when using only soft water. In the normal tap water, lime is present, which increases permanently the PH value in the substrate. As a result, there are problems with the uptake of nutrients and leaf chlorosis. Filtered rainwater is particularly suitable for the water supply. Stagnant or boiling tap water can also be used. A characteristic of a lucky clover (Oxalis tetraphylla) is the low nutrient requirement. If you use a common liquid fertilizer every 4 weeks between April and September, the potted plant is fully satisfied. Please keep in mind that this product is not used on a dry soil. If necessary, water a little bit with clear, lime-free water before you add the fertilizer. Cut faded flowers and dried leaves regularly, preserving the plant a well-groomed appearance. We recommend cleaning out the flowers promptly, so that the lucky clover does not invest unnecessarily its valuable plant energy into the growth of the seeds. It is, of course, false to crop the capsules to use the seeds for the propagation. Only in the course of overwintering you cut all parts of the plant down to the ground when they are completely yellow. 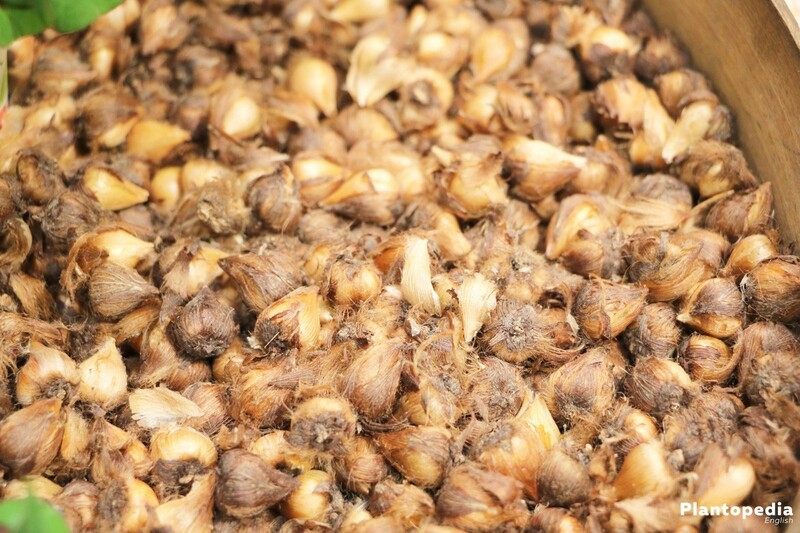 Until then, the bulbs use all the remaining nutrients to create reserves for the next season. Please note that cuttings of an Oxalis tetraphylla are not used as green fodder for rabbits, hamsters and other small animals. One of the main pillars of a perennial cultivation is the dormant period. When the temperatures drop in autumn, put your lucky clover inside. If the plant on the window sill is put into the limelight, it moves also to a winter quarter. From April, the plant takes up its original place on the bright window sill to get used to warmth and sunrays. At the same time, water more frequently and start with the supply of nutrients. If the lucky clover has completely rooted its pot, it can be now repotted. With regard to the modest care demands, the wish for further specimens of these cheerful companions is obvious. There are several methods for the reproduction to choose from, which we will explain to you above. Once the winter rest period has been successfully ended, remove the lucky clover (Oxalis tetraphylla) and cut the root ball into two halves. A well-established plant can be cut into other segments. Each piece is placed in its own pot, filled with loose soil above a drainage. In warm, half-shady location, you should water the roots regularly. The first fertilizer will be given to your lucky clovers after the stock has been consumed in the pre-fertilized soil about after 6 weeks. A vigorous mother plant is always striving for a lot of aftergrowths. To this end, it produces small daughter-bulbs, which appear in the course of the repotting in spring. Take a look at the end of the offshoots where the pale yellow tubers thrive. Cut off these bulblets with a disinfected knife and place them in small pots with potting soil. This variant of the offspring does not proceed as fast as the division; Nevertheless, you will definitely have new lucky clovers for the next New Year’s Eve. Anyone who is interested in gardening will choose the cuttings method. Within this approach, you can observe daily how the delicate roots sprout. After 3 to 4 weeks, they will have reached a sufficient length. Place the rooted shoots in small tuffs in a small pot with loose, permeable soil and sprinkle them. 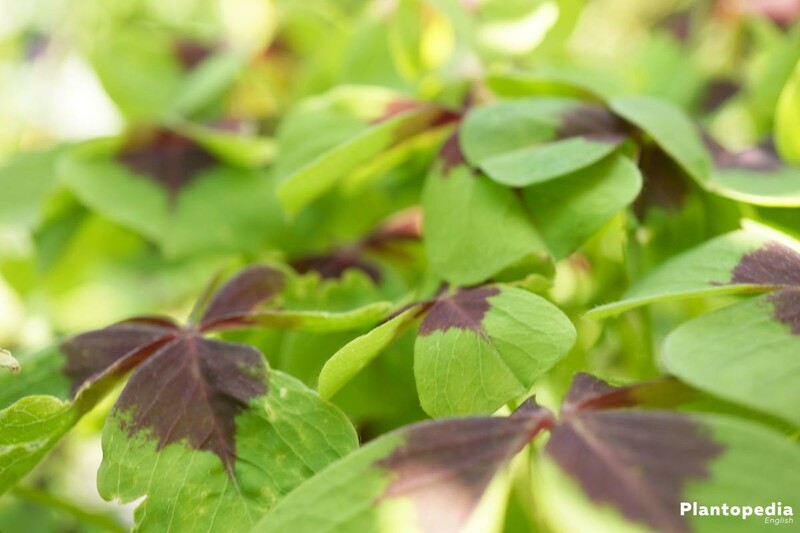 Within the multifaceted family of the sour clover plants it is mainly Oxalis tetraphylla, which with its four-petalled foliage acts as a lucky charm. On New Year’s Eve the color of the flowers is still of secondary importance. If, on the other hand, you want to cultivate it as a balcony and room-plant, we would like to present you the following varieties. 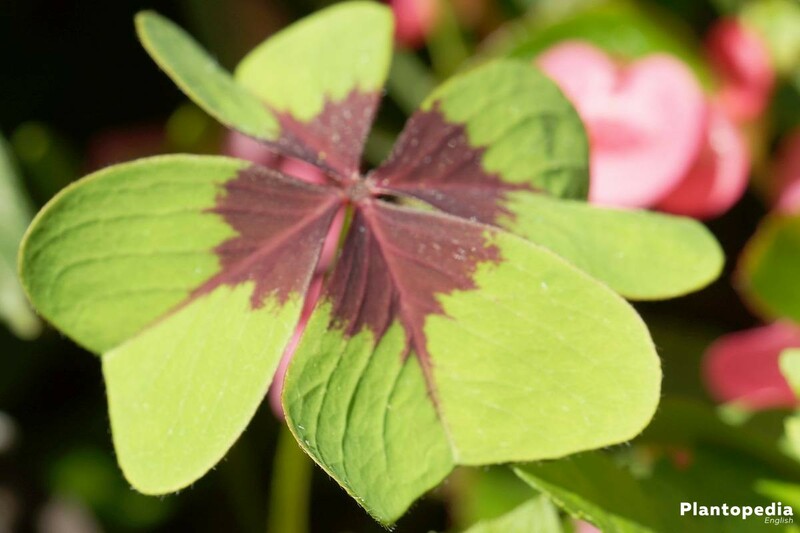 The most favorite one among the lucky clover varieties enchants from June to October with countless pink flowers, which harmonize wonderfully with the red-brown marking of the leaves. Compared to the original, this hybrid scores with significantly larger flowers. This successful variety trumps with pure white flowers, which arises proudly over the four-leaf foliage dress. Combined with Iron Cross in the big pot, you can create red-and-white play of colors.